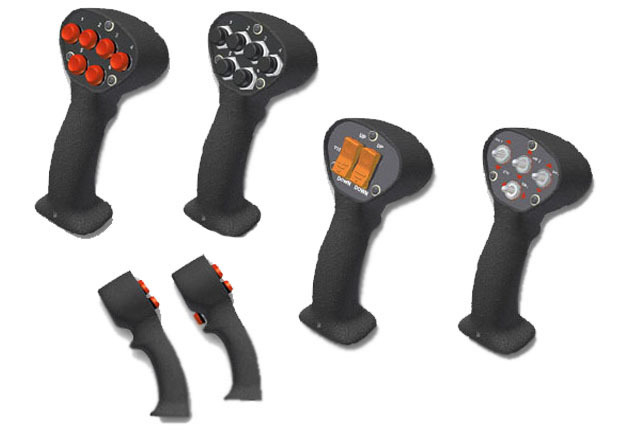 The Model 8901-RB Handy-Grip is a rugged, industrial control built with multiple switch functions. We can supply six thumb-operated pushbuttons with one finger-operated trigger. Or a combination of pushbuttons, rockers, toggles and indicator lamps can be supplied. If you require more functions or a special layout, we can supply a variety of special switch functions to meet your requirements.